RUSH: Trump is slapping all kinds of sanctions on the Russians. I’m sorry, folks, once again I have to sit here and I have to guard against laughing. This Russia thing is out of control. Even if Putin did poison the guy and his daughter, and we know Putin poisoned Yevtushenko. But we’re building the Russians up to be this monolithic, unstoppable world power against whom we are powerless, against whom we can’t do anything. And, meanwhile, our eyes actually ought to be on the ChiComs. The ChiComs are allowed to slither here and there and sneak in and out of various places while all of our people are focused on the Russians. Now, I’m not saying the Russians are not a clear and present danger, but there’s nothing new about the Russian threat. In fact, the Democrats being opposed to the Russians is something relatively new in my lifetime, and it’s purely political. But we’ll talk about it as the program unfolds. Trey Gowdy also disagrees with the Republicans on the House Intelligence Committee shutting down the investigation. I want you to hear why Trey Gowdy is worried, or not worried, why he disagrees with the step that the Republican majority is taking on the intel community. Trump slapping sanctions on Russia is now the Democrats saying, “See what Mueller is doing? You see? The Mueller investigation is succeeding. Even though Mueller hasn’t indicted anybody of any substance yet, even though Trump so far seems to be skating, he knows that Mueller is out there, and so Trump is sanctioning his good buddy Putin, not because he wants to, but because he’s trying to get Mueller off of his tail.” Yeah. The latest bumble of sanctions are not because Trump really wants to do it. Mueller and the pressure of the Mueller investigation are making Trump do it. THE PRESIDENT: It looks like it. I spoke with the prime minister, and we are in deep discussions. A very sad situation. It certainly looks like the Russians were behind it — something that should never, ever happen — and we’re taking it very seriously, as I think are many others. RUSH: So after that on CNN this morning, CNN’s Newsroom, they spoke with the Senator from Florida, Bill Nelson, and with John Berman. By the way, have you heard at CNN that Fredo Cuomo is being moved to prime time? Fredo Cuomo’s going to 9 p.m. Anderson Cooper? I don’t know what’s happening to him. So you have two really white-privilege guys. Anderson Cooper is Gloria Vanderbilt’s son. He’s got all the Vanderbilt money, worked at ABC, went to white universities. 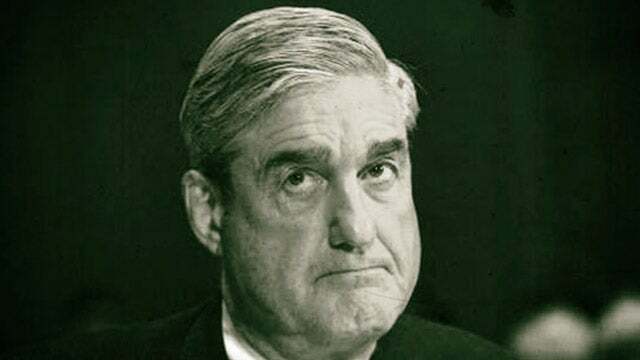 NELSON: They are following — uh, having to follow — the indictments by Mueller. But the question is, John: What about the other oligarchs? What about all of those entities in and around the bots? What about getting right to Putin? All of these people are reporting to Putin, taking orders from Putin. What about looking at some of Putin’s investments and bank accounts? NELSON: So it could be a lot broader. RUSH: All right. So Mueller is basically forcing Trump to sanction Putin. See, Trump doesn’t want to sanction Putin. Trump and Putin worked together to steal the election from Hillary. (Even though there’s no evidence, this is the narrative.) So now Trump is slapping Putin with sanctions and obviously doesn’t want to, and Bill Nelson says Mueller making him do it. This is a great illustration of the power of the Mueller investigation. Now, something about this I don’t understand, folks. Barack Obama drew a red line with Putin. Barack Obama told Putin to “cut it out” in 2016 and 2017. Barack Obama confronted Putin and said, “Cut it out!” He even told Putin to stop with the chemical weapons used by Syria. (Look how that worked out.) So why do we have to even slap sanctions on Russia if Obama took care of this? ‘Cause I thought Obama told Putin to cut it out, to stop all this. What happened with that?